Price listed is for four charms. 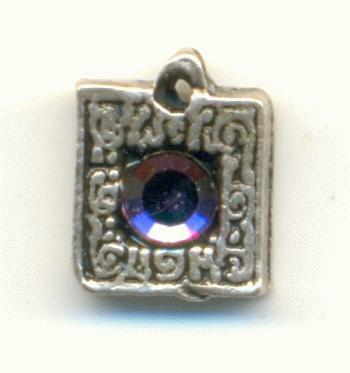 These are antique silver plated cast metal charms that measure approximately 8mm by 6mm. There is an amethyst rhinestone set in the center and a single loop at the top.